To win consumer hearts and satisfaction Audionic always stayed as competitive and left no work as undone to get on top of many consumer electronics brands in the market, though this challenging decision for Audionic result out quality product making, customer satisfaction and customer retention at all ends, conventionally and digitally. 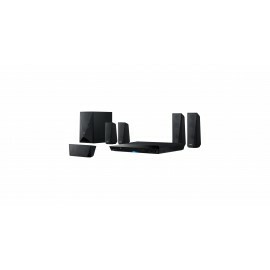 Therefore, domestically and internationally user can experience quality sound products in highly affordable prices. 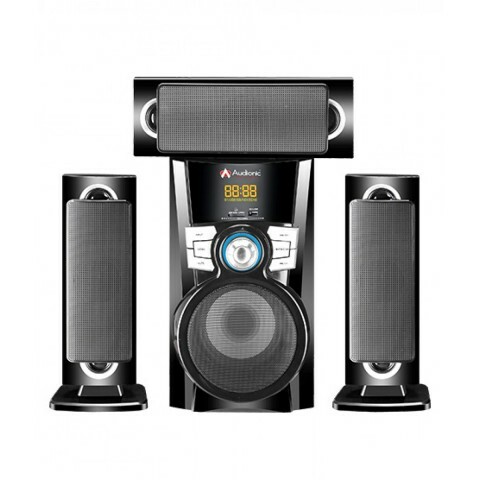 AD-9000(Alternate/Direct) comes in 3.1 channel speakers, is especially known for its dual powered output feature means you can you can play it in outdoor in case of no electricity or can play on direct current, in-short you can play this speaker from wired input function or 12V battery in case of no electricity is available. Its 6.5 inches wooden made sub-woofer with 3 inches three bar shaped satellites built your sound experience at maximum level. You can play your chosen audio tracks through Bluetooth, USB Port, SD Card, and Aux cable or can experience various FM channels or can also enhance your karaoke jack experience. Now you can control the sound output level from your hand through its high frequency remote control function or can manually control sound output from manual analog buttons. 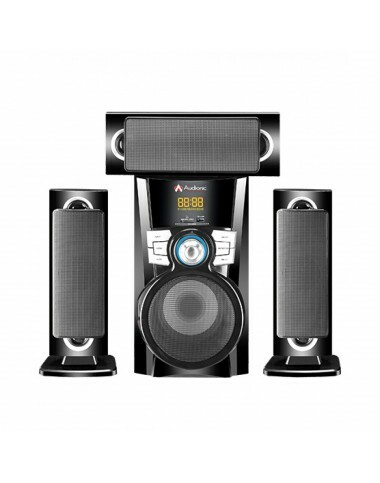 This amazing dual powered speaker comes under one year of warranty. Dual Powered Speakers With Extreme Sound Output. Plug in wired MIC and enhance your karaoke MIC experience. Now you can play and enhance your music entertainment on your best complete speakers. As far as it’s making & designing is concern, it is made with unique wooden material especially use for speaker manufacturing and designed with special covering sheet for its attractiveness.